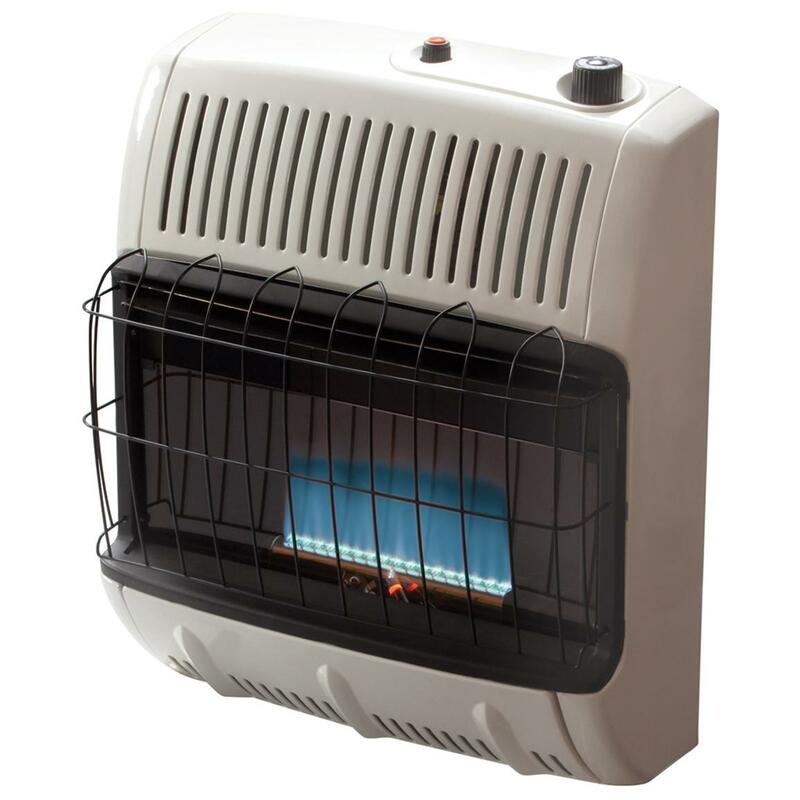 This Mr. Heater® Blue Flame Gas Heater provides easy comfort and warmth for your favorite indoor spot. 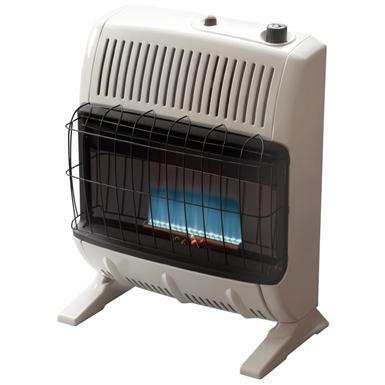 Heats up to 500 sq. ft. with no venting or chimney required. Dimensions: 19"w. x 24"h. x 8"d.